2016 was an apocalyptic year for socio-political life. It was also a busy year for Krytyka Polityczna. We launched a new website for the Krytyka Polityczna publishing house, equipping it with a functional internet shop and a space to showcase our books. We also modernized and expanded our English-language website Political Critique. Moreover, we introduced our brand new “left-site” KrytykaPolityczna.pl. During the past 12 months we have published books, organized seminars, conferences and social-cultural events, and reported and commented on current events in politics, culture and economy in Poland and worldwide. We want to live in a world where democracy and human (personal/worker) rights are respected, and where the disadvantaged are supported through solidarity. Because we would like to see this world come to life, we strive for social change. In Krytyka Polityczna, these general statements translate into specifics. Below, we have listed the activities that we consider to be the most important. In 2016, we conducted 12 seminar cycles at the Institute for Advanced Study in Warsaw: 7 in the winter semester and 5 in the summer semester. Prof. Marek Belka’s lecture entitled Ekonomiczny wymiar kryzysu Unii Europejskiej (The Economic Dimension of Crisis in the European Union) inaugurated the 2016/17 academic year. 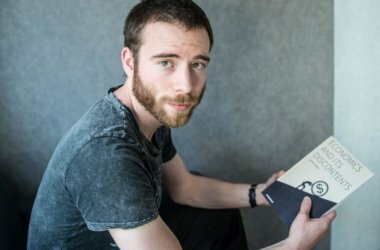 – Kultura i rozwój. Analizy rekomendacje, studia przypadków (Culture and Development. 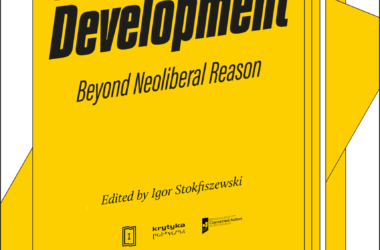 Analyses, Recommendations, Case Studies), edited by Jerzy Hausner, Izabela Jasińska, Mikołaj Lewicki and Igor Stokfiszewski. In Krytyka Polityczna Clubs, which operate in more than a dozen Polish cities, we organized nearly 300 events, including debates, workshops, author meetings, exhibitions and film screenings. In December 2016, thanks to a crowdfunding effort by our generous supporters, the Krytyka Polityczna Cultural Center in Cieszyn opened its new headquarters, which are located in an old mill. 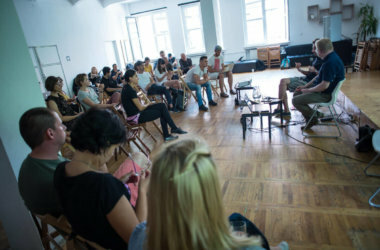 The Center’s operations in its new home were kick-started with a cycle of meetings devoted to discussing the role of culture in Polish peripheries and its relationship to the capital city, which was a continuation of an important citizen panel at the Congress of Culture. Moreover, Cultural Centers in Warsaw, Gdansk and Kiev continued to run their own content programs. This year, in collaboration with the Visual Culture Research Center in Kiev, we co-organized the Kinotron exhibition dedicated to the futurism of Stanislaw Lem and Soviet cinematographers. We also collaborated to create the Ukrainian Filmoteka – an archive of artistic films modeled on a partner project at the Museum of Modern Art in Warsaw. In late May and early June, we organized the third edition of the Jacek Kuron Social Festival in Warsaw. Our discussions on the role of new media in politics, the solidarity between European countries and the economic and political future of the world benefited greatly from participants such as Claus Offe, Jadwiga Staniszkis and Timothy Snyder. We also organized an urban game, a concert and a guided walk, as well as a performance by Komuna Warszawa commemorating the seventeenth anniversary of the Round Table Talks, in addition to various seminars and several workshops for children. Jutro będzie słońce (It’ll Be Sunny Tomorrow) Zralek / Zabrocki / Lenarczyk, which is centered around a community of so-called Walter Scouts, premiered during the third edition of the Jacek Kuron Social Festival. Marcin Zabrocki and Paweł Cieślak’s Eter (Ether) is a modern interpretation of cultural texts from the interwar period. The Krytyka Polityczna Club in Lodz organized the fourth annual commemoration of the 1905 Revolution. For the first time, we published a Revolution card game. We also reported on the unprecedented conflict of the Dobrzen Wielki municipality with the city of Opole. In Gniezno, we continued our reflections on the socio-political transition in Poland after 1989 and its influence on local communities. In this edition of our project, we focused on architecture, creating the Gniezno Modernism Trail. In Poznan and Krakow, we organized new installments of Tomas Rafa’s photo and video exhibition entitled New Nationalism in the Heart of Europe. This cycle’s special installment accompanied the third edition of the Jacek Kuron Social Festival in Warsaw. In Sopot, we ran an outdoor reading space during the Sopot by the Book festival in August. In August 2016, we organized our annual meeting of Polish and European activists: the Central and Eastern Europe Agora Meeting, which hosted more than 120 members of Leftist organizations from 17 countries. This year, we devoted much time to discussing the influence of Putin’s Russia on international politics. We continue to fine-tune our tool against gender inequality in public debate: the ekspertki.org database, which lists womenspecialists in numerous fields. In April, we published Narzędziownik (The Toolbox) in order to help media employees and public events organizers understand the necessity of gender equality in media programs and debates. Krytyka Polityczna received one of 25 Federkas – awards for women’s rights activism – by the Federation for Women and Family Planning on their 25th anniversary. We have been persistently advocating the reform of drug policies in Poland and abroad. In April, Krytyka Polityczna’s representatives participated in the UN General Assembly Special Session on Drugs in New York. A report from the assembly (in Polish) is available at www.narkopolityka.pl. In May, we co-organized a Women’s Congress panel where we introduced the taboo topic of substance use and abuse among women, and presented our brochure entitled The Influence of Drug Policies on Women’s Lives. This year, we founded the Konrad Pustoła Scholarship for socially engaged photographers. Members of Krytyka Polityczna staff also participated in (and co-organized) significant grassroots social initiatives, such as With Salt and Bread, the Black Protest and the Congress of Culture. We collaborated with more than one hundred institutions and organizations, and are affiliated with international networks such as Time to Talk and Connected Action for the Commons. We work closely with a number of international organizations, including the European Cultural Foundation and European Alternatives. Two of our members, Agnieszka Wiśniewska and Igor Stokfiszewski, joined a coordinating group for the international DiEM25 movement. We continue to collaborate with activists and experts from the Central and Eastern European region. During our study trips and operations, we have visited most countries in this region. We published 31 new titles in seven series and outside series, including Marta Abramowicz’s best-selling non-fiction book Zakonnice odchodzą po cichu (Nuns Leave in Silence), with 40,000 copies sold. Several works by renowned economists such as Thomas Piketty, Ha-Joon Chang and David Graeber were added to our series on economics. Anna Cieplak’s Ma być czysto (It Has to Be Clean) was voted book of the year by Radiowy Dom Kultury, a Polish national radio program. Our Polish translation of Thomas Piketty’s Capital in the Twenty-First Century received the first ECONOMICUS prize in the Best Foreign Economics Book Translated into Polish category. Our Polish translation of Ha-Joon Chang’s Economics: The User’s Guide received the third ECONOMICUS prize in the Best Foreign Economics Book Translated into Polish category. Monika Talarczyk-Gubała’s Wanda Jakubowska. Od nowa (Wanda Jakubowska. Anew) was nominated for the Polish Institute of Film Art prize for a film-themed book and for the Bolesław Michałek Prize. Maria Pawłowska, Jakub Szamałek and Katarzyna Bogucka’s Kim jest ślimak sam? (Who Is Sam the Snail?) was granted distinction in the eighth Halina Skrobiszewska Children’s Literature Contest and was added to the List of Treasures at the Museum of Children’s Books. A bestseller in our children’s series, Agnieszka Suchowierska’s Mat i świat (Mat and the World) – awarded the Literary Prize for Book of the Year from the Polish section of the International Board on Books for Young People in 2015 – was granted distinction at the Kornel Makuszyński Polish National Literary Prize. This year, we published our first young-adult novel, Natalia Osińska’s Fanfik (Fanfic). Our books are also published as eBooks and audiobooks. It takes exactly 34 hours and 18 minutes to listen to Piketty’s Capital in the Twenty-First Century in Polish! We participated in book fairs in Warsaw, Krakow, Bialystok, Katowice, Wroclaw and Lodz. In 2016, we launched our new internet bookstore. On 20th December 2016, a new version of our website was launched. Agnieszka Wiśniewska, editor-in-chief of the new website, is also responsible for the domestic section. The world section is run by Slawek Blichiewicz, the economy section by Michał Sutowski, and the cultural section by Magda Majewska. Our new improved website is an electronic edition of Krytyka Polityczna. Designed for your convenience, it is reader-friendly, functional and easy to navigate. It also expands the ways we can engage with our audience. We offer you commentary, analysis and opinion on a daily basis and try our best to provide you with moving news stories and in-depth interviews, as well as a concise and fresh perspective of current events. Our collaborators include Kinga Dunin, Kaja Puto, Jaś Kapela, Jakub Majmurek, Jakub Dymek, Agata Diduszko-Zyglewska and Jan Śpiewak. We produce Robert Kowalski’s video program Sterniczki w Krytyce Politycznej (Steerswomen at Krytyka Polityczna). The program invites women – including opinion writers, experts and politicians – to comment on current political events. At TV KP, we covered some of this year’s most important events on the streets of Warsaw, as civil society’s backlash against the ruling party’s decisions materialized (including the Black Protest, the Day for Solidarity with Refugees, the demonstration against planned public school reform). Our opinion writers continue to make their mark in various media (such as TVN24, Polsat News, Polsat News 2, TVP Info, TOK.FM, RDC, PolskieRadio24, Trójka). Our Facebook profile has more than 74,000 followers, and our Twitter more than 131,000. With our partners in Hungary, Slovakia and Czech Republic, we co-create the international website politicalcritique.org. In 2017, Krytyka Polityczna will be celebrating its fifteenth birthday!